SecureBackup keeps old versions of your changed files. 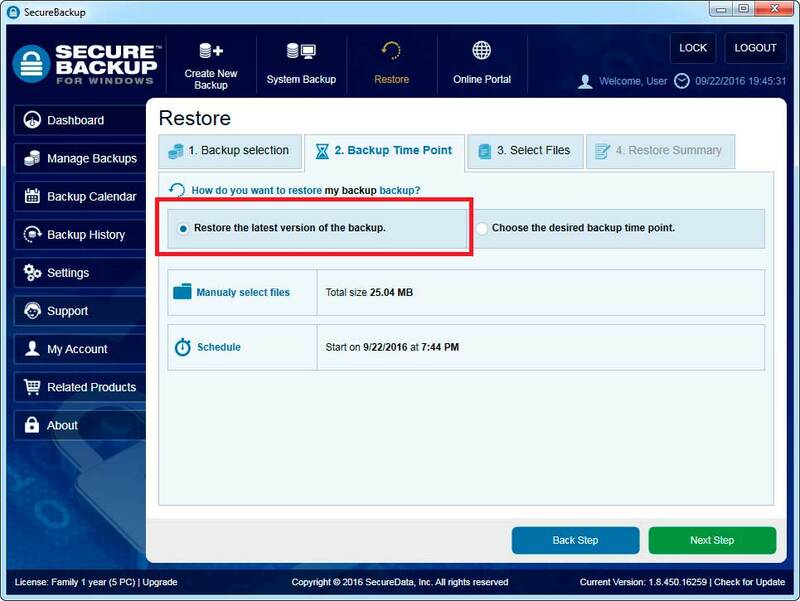 You can restore a previous version of the file by selecting backup time point. 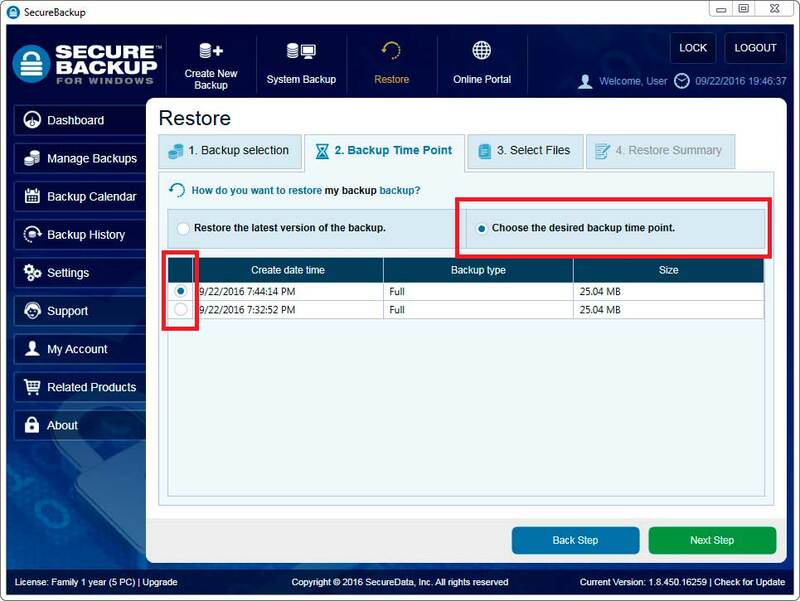 This way of restore, usually is actual for Incremental or Differential backup types, when there are a lot of changed versions of backed up data. Additionally, you always can quickly restore the latest version of the backed up data.